A dynamic vinyasa flow yoga practice that builds on The Flow. Students will be cued for more advanced variations of arm balances and inversions and the flow invites space for more heat and vigour. This class will challenge your body + mind to push beyond their limits. We recommend that you have some experience in your practice before joining The Power Flow. Mat is required. During your visit, you will fill-out a confidential health form, and tell me about your health condition as well as what you would like to improve with the help of yoga therapy. I will perform several assessment tests, and explain how yoga therapy can address your specific health condition and your goal. We will discuss and plan personalized strategies in dealing with your specific health concerns. At the end of the consultation, I will offer you a tailored yoga therapy treatment plan, which consists of 4 one-on-one 30 min. classes, extending over a month, with class once per week. 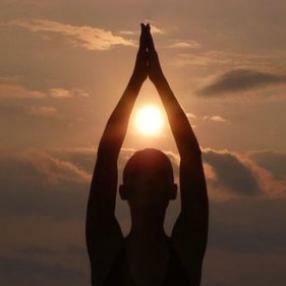 After the first consultation, you are encouraged to start your yoga therapy program. Every week, you will learn new elements and add them to your everyday practice. After one month, we will reassess your health condition, and you can choose to continue the one-on-one 30 min. 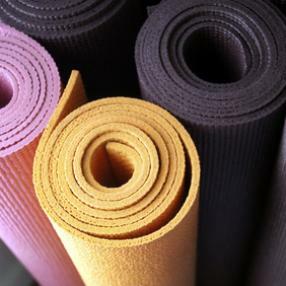 yoga therapy classes or join regular 90 min. yoga therapy classes in a group. Pilates is a system of controlled exercises that engage the mind and condition the total body. The blend of strength and flexibility training improves posture and reduces stress. Join us on Thursday’s from 6 – 7:30 pm for special classes for adults featuring Kundalini Yoga and mediation followed by Yogi Tea and cookies after class. and watch how your world responds. 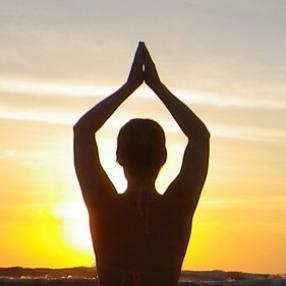 Kundalini Yoga and Yogi Tea Class: This Kundalini Yoga class is not only a great work out for body, mind and spirit, it’s a friendly gathering after class with Yogi tea and cookies. Yogi Tea served at 7:30 pm for those who wish to stay (no extra charge). it is much easier traveling together. We’ll be doing everything we can to help each other realize how strong we truly are! Located near College St. and Bathurst St. in the Annex of Toronto, Ontario, Canada. Please e-mail for exact address. Surrender to gravity and release all of your stress in this Suspended Yin yoga class with the unique benefits of included Reiki energy healing from a Reiki Master. 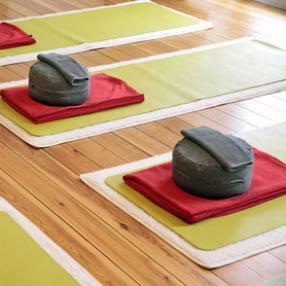 This class is a healing sanctuary designed to melt away your worries and reconnect you to your body in a cooling, healing practice while you float weightlessly through the air with the YogiGym®. Yin Yoga is a form of Hatha Yoga practice that focuses on releasing blockages of energy and emotions from the body and mind by creating length, space, flexibility, and deepening the mind-body connection through longer held poses than its active, Yang counterparts. Reiki is an energy healing modality that works by restoring and increasing the flow of life force energy, further releasing energetic and emotional blockages, and reconnecting wth yourself on a deeper energetic, emotional and spiritual level. Yin Yoga using the YogiGym® allows for the therapeutic benefits of traction, joint support and inversion, and you can surrender to gravity using a fully supported and passive approach to each asana. In this class, you can experience a therapeutic effect on the connective tissues, muscles, and joints. This can help to prevent injury, increase flexibility, and to help slow, quiet and cool the body and mind to balance a high-paced and overstimulated lifestyle. Please let your instructor know at any time if you would not like to receive Reiki treatment during the class. This deep stretch yoga in a warm setting targets the deeper fascia of the spine & pelvis allowing for improved flexibility of soft tissues, mobility of the joints and the release of stress in the body & mind. This class follows our energy patterns, allowing us to release the excess while preserving and nurturing where we feel depleted. Combining Dynamic flows (yang) with quiet holds and restoring postures (yin). So often we come to our mat tired but start moving and realize we have more energy then we thought. Sometimes we come feeling as though we have tons of energy only to realize we are exhausted. Yin and Yang, light and dark, energetic and calm these are the polarities we will move through in our class together, leaving you feeling balanced and ready to close your day. Discover the powerful benefits of yoga backbends - they’re invigorating, uplifting, and heart-opening. Backbends stimulate the proper functioning of the digestive system, help preserve the health of the vertebrae and spinal disks, and open the body to deep diaphragmatic breathing. It’s no wonder that backbends are an important part of any yoga routine. At the same time, these poses place strong demands upon the most vulnerable segment of the spine—the lumbar region. To protect against pinching in the low back, it is important to understand precisely how to warm up the spine and move into safe backbends.